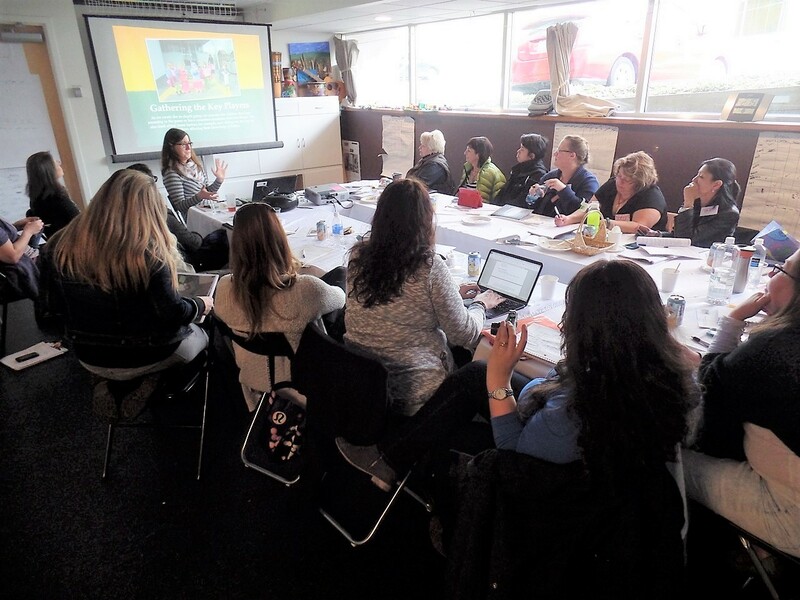 Hilltop is well-known and highly regarded in the Early Childhood Education community, for our pedagogical approach to working with children and families. In response to consistent requests from colleagues for trainings, tours, and consultations, Hilltop launched a professional development Institute in 2013. The Hilltop Educator Institute coordinates Study Days at Hilltop, hosts an ongoing Educator Discussion Series, and provides coaching for other schools, facilitated by Hilltop’s own educators. Times may vary, click for more details! 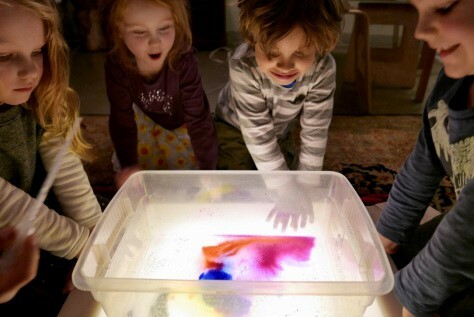 Each year, we are pleased to offer a series of full-day, half-day and evening workshops facilitated by guest speakers that explore topics such as “Environments and Provocations for Learning,” “Brain Science and Early Childhood Education,” and “Learning Stories for Authentic Assessment.” The range of topics is geared toward early childhood educators, but would also be of interest to parents and families of young children, and to elementary age educators. The format for discussions is interactive, with facilitators and participants engaged in dialogue around the selected topic. MERIT / STARS Hours and Clock Hours are available. *Space is limited and advanced registration is required. Study days run from 9:30am – 3:30pm. Organizations or groups of educators can schedule a customized Study Day for groups of 6-15. 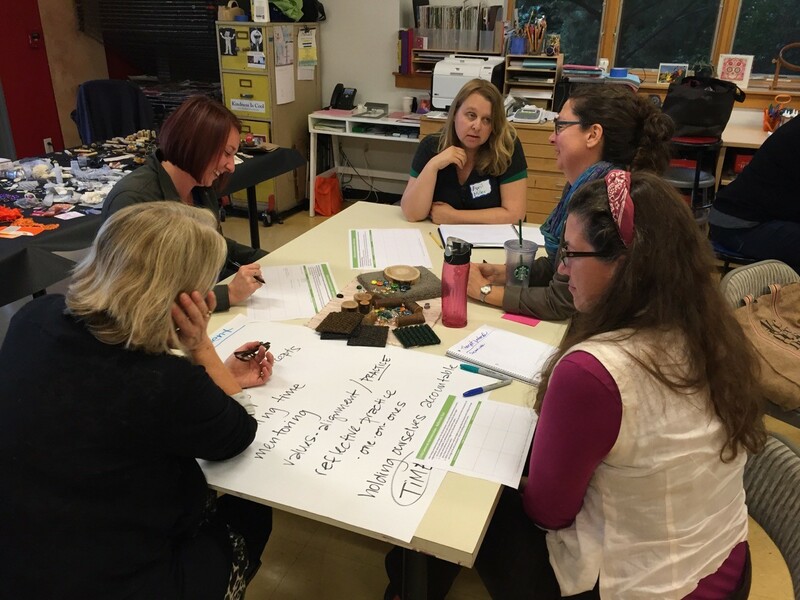 Join us for a multi-day visit to Hilltop to see child-centered and reflective practice in action, explore proven models for supporting responsive curriculum in your own programs, and talk directly with program leaders and educators from Hilltop’s classrooms. Participants will discuss practical strategies for supporting educators and developing structures that enhance reflection and uphold program values. An Inquiry Visit is a customized one-on-one opportunity for your organization to specifically project/problem solve how this work could be applied in their own organization’s context. These visits are charged at a hourly rate and a per-participant food/materials fee. Prices vary and are adjusted based on specific objectives of each organization and total number of participants but generally start at $2000 for a two-day visit. For a detailed quote, please contact us directly. 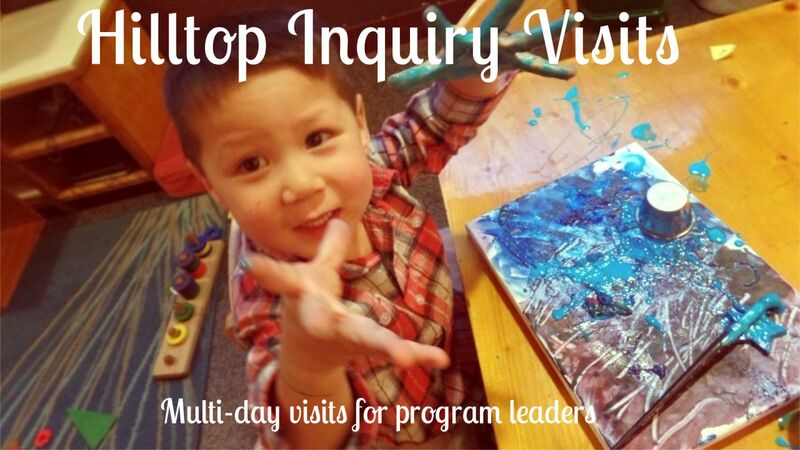 Organizations or groups of educators can schedule a customized Inquiry Visit for groups of 6-15. All of our consulting services are drawn from our experience at Hilltop, and are offered in a responsive, collaborative model that parallels our work with children and families. Please contact Mike Browne <institute@hilltopcc.org>, Institute Marketing and Events Coordinator, to design a customized consultation plan for your program!